Sporting events like the Olympics and the World Cup are some of the world’s most-attended events, with millions of tourists pouring in to enjoy the spectacle of the games. Many cities build massive arenas to host these tourists, along with accommodations and sometimes even infrastructure to support the event. But what happens when the games have ended, and the people have gone? While holding mega-events like the Olympics and the World Cup is typically viewed as an honor to host-cities, the costs of such events can quickly add up for citizens, as they must make necessary preparations for such large-scale events. These preparations are often complicated by requirements from organizing committees like FIFA, who have numerous guidelines before stadiums can be approved for World Cup games. A mural for the World Cup in Pasadena, California. Reprinted from The Rose Bowl by Michelle L. Turner and the Pasadena Museum of History, courtesy of PMH, PSN Collection (pg. 99, Arcadia Publishing, 2010). As a result of these requirements, brand-new facilities must be built in many cases to support the coming event. If stadiums are not built from scratch, existing arenas often require extensive renovations to make them viable for the tournament. All expenses considered, the final price-tag on mega-events varies widely, but in recent years the World Cup alone has cost anywhere from $3-15 billion USD. While the massive costs associated with hosting the Olympics and World Cup are a large deterrent for many cities, the biggest concern for many citizens is what will happen to facilities and stadiums once the sporting events have ended. Once crowds have cleared, there is very often little use for the arenas and amenities that were built, and overhead costs force them into abandonment and disrepair. These abandoned sites are now referred to as “white elephants:” public spots that sit mostly empty after events have ended, and drain money from the surrounding area. FIFA in particular has been accused in recent years of forcing cities to create white elephants, as existing stadiums are often found to be “inadequate” for the World Cup. 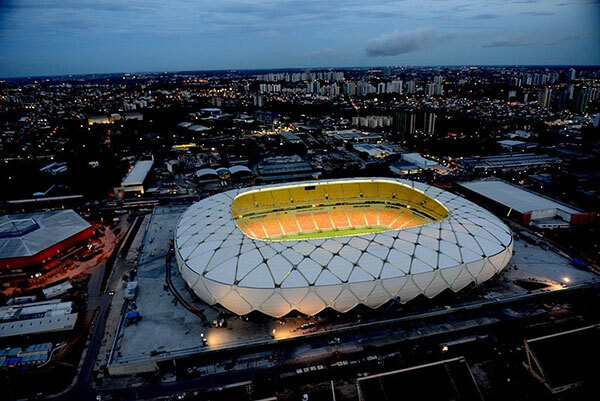 The Arena da Amazônia: Located in the city of Manaus, Brazil, the arena cost $220 million USD to build for the 2014 World Cup. Manaus was a relatively unpopular destination for World Cup games: located deep within the Amazon rainforest, the city is only accessible by boat or plane, and does not have a thriving football presence. The stadium itself, which seats nearly 45,000 at capacity, is all but forgotten by the city’s population of roughly two million. On the best nights, local rookie-level football teams draw about 1,000 people to a game. As a result, while the arena generated some $180,000 USD in revenue during a four-month period, it lost $560,000 in the same time period, leaving a deficit of nearly $400,000. Brazil’s Arena da Amazônia by evening in February 2014. Image by the Brazilian Government [CC BY 3.0 BR], via Wikimedia Commons. Cape Town Stadium: Built for the 2010 World Cup, Cape Town Stadium (in Cape Town, South Africa) cost the country $600 million to build. Cape Town had originally intended to use a local stadium that only needed simple renovations, but was not approved by FIFA for use. This stadium, which was located near the area of Cape Town holding most of the city’s football fans, would have revitalized the community. The new Cape Town Stadium was instead built on the city’s waterfront, far away from where most football fans could afford to travel to. As a result, once the games had ended, the stadium began losing $8-10 million USD annually. Today, the stadium hosts the occasional concert (with no events currently scheduled), and struggles to bring in any sustained revenue. 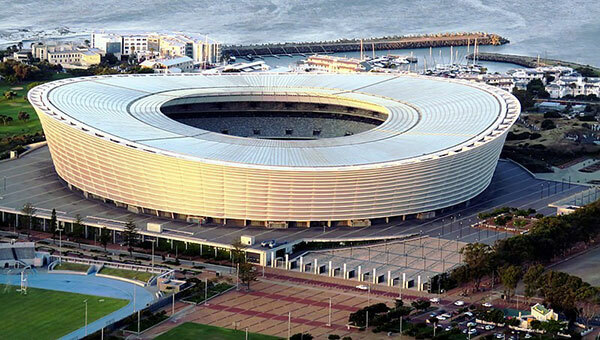 Cape Town Stadium, in South Africa. Image by Prosthetic Head [CC BY-SA 4.0], via Wikimedia Commons. Russia 2018: While the games in Russia won’t end until the championship game on July 15, many are worried that the stadiums built will also become white elephants like Brazil and South Africa’s before them. Russia’s arenas have cost almost $11 billion USD to build, and were built throughout the country, including areas where football isn’t especially popular. In cities like Volgograd, stadiums that can seat 35,000 will be left behind with only a club team (whose games average between 3,800 to 6,000 in attendance) to attempt to fill seats. Only time will tell if the stadiums built for this year’s World Cup will be viable. 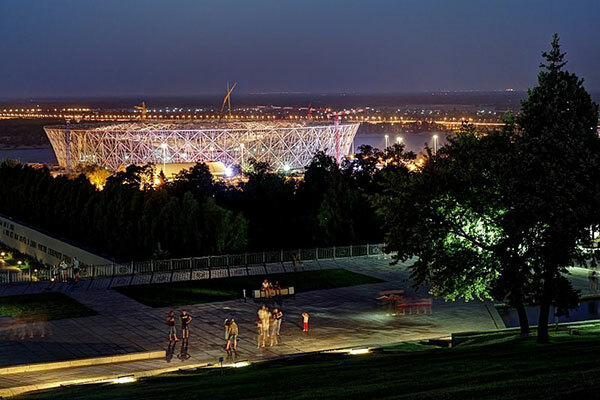 Volgograd Stadium in Volgograd, Russia, a possible future white elephant. Image by Alexxx1979 [CC BY-SA 4.0], via Wikimedia Commons. Despite their challenges, hosting mega-events can be a benefit to a region in many ways, firstly by helping to build global recognition and prestige. The 2014 Winter Olympics, for example, helped to place the obscure resort city of Sochi, Russia in the world conscious, and build local tourism. For cities that already have a global reputation, worldwide sporting events offer a chance for these cities to reinvent themselves, presenting a new-and-improved image of the area to visiting crowds and world viewers. The ability to use mega-events as a way to reinvent a city’s image has worked particularly well in the United States, where the Olympics and World Cup have largely done well. This success has been due (in part) to the fact that a majority of American cities already have facilities that can be used for such occasions – with little building costs, host-cities often stand to at least break even, if not make money off the games. Of all American mega-events, perhaps the most successful was the 1984 Olympics, held in Los Angeles, California. California had already hosted the 1932 Summer Olympics, and the city had several venues already built and ready for a new rendition of the games (including sites like the Rose Bowl and the LA Coliseum). Combining these existing facilities with smart financial planning, and the use of sustainable resources, the 1984 Olympics were able to not only break even, but even turned a profit of over $200 million USD. Nearly half of this money was reinvested into the city of Los Angeles, and continues to assist charity work throughout the area. 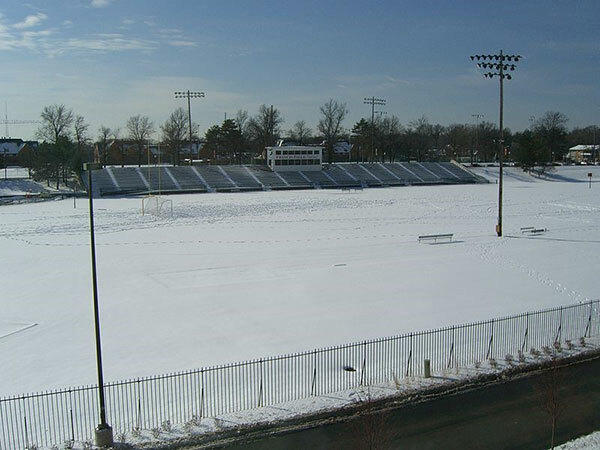 Francis Field at Washington University in St. Louis: The world’s oldest Olympic development still in active use, Francis Field was built as the main stadium for the 1904 Olympic Games. The 1904 games were the first to be held in the Western Hemisphere after receiving major support from Missouri’s then-governor, David Rowland Francis, for whom the field was named. After the games ended, the stadium became the permanent home for the Washington University Bears, and has continued to host American football games to this day. Francis Field in 2009. Image by Shubinator [CC BY-SA 3.0], via Wikimedia Commons. Mount Van Hoevenberg Bobsled Run: Part of the greater Lake Placid Olympic Sport Complex, the Mount Van Hoevenberg Bobsled Run has gone through several iterations since its original building in 1930. Originally constructed for the 1932 Winter Olympic Games, the bobsled track was originally carved into the land, and meant to be longer and steeper than its previous European counterparts. 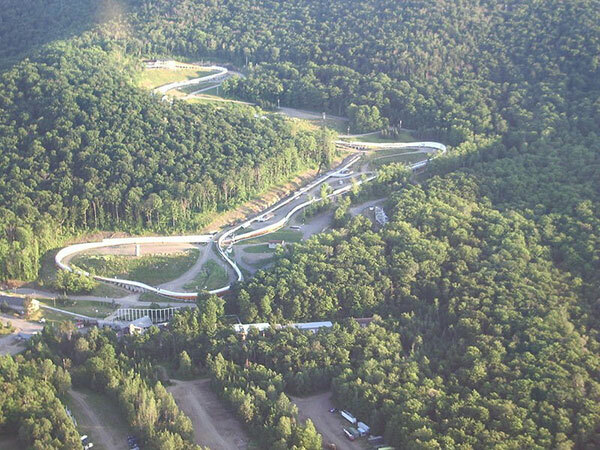 The track was subsequently shortened following the games, but was used for bobsleigh world championships, as well as a luge track, before hosting the bobsleigh, luge, and skeleton events during the 1980 Winter Olympics. Today, the bobsled run has become a tourist destination where visitors can run down the track as if they were on the Olympic team. The current bobsled track in Lake Placid, New York. Public Domain image via Wikimedia Commons. Turner Field: Originally named Centennial Olympic Stadium, Turner Field was built for the 1996 Summer Olympics in Atlanta, Georgia. Although the stadium cost $209 million USD to construct, the majority of these costs (approximately $170 million) were covered by corporate and media sponsors. The city of Atlanta was able off-set many of the costs of the games through sponsorships like Turner’s, eventually turning a profit after the games of approximately $19 million. 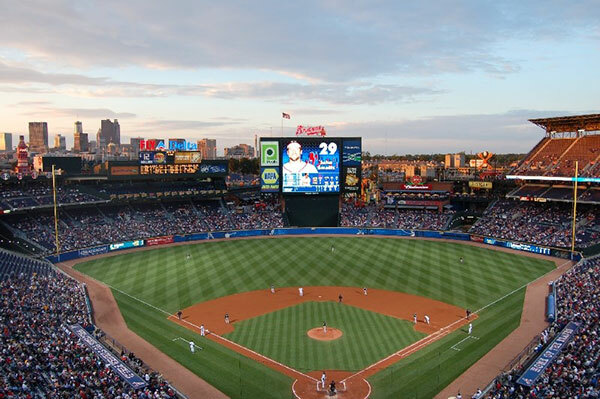 After closing ceremonies, the stadium was converted to a baseball-specific field, and became the home of the Atlanta Braves for 20 seasons, ending in 2016. After the Braves’ departure, Turner Field was sold to Georgia State University, where it was converted a second-time to serve as the school’s current American football stadium. Turner field during its time as a baseball stadium for the Atlanta Braves. Public Domain image via Wikimedia Commons. Although games like the World Cup offer large benefits to cities, the risk of white elephants has led to many changes in recent years about how host cities are chosen. In 2026, North America will host the World Cup, with Canada, the US, and Mexico participating as host countries. Chosen in part because all three countries have FIFA-suitable stadiums already standing, only time will tell if a profit can once again be found in a North American mega-event. Have you ever attended a World Cup or Olympic event? Let us know about it in the comments below! Interested more in learning about mega-events in America? Check out the books below.